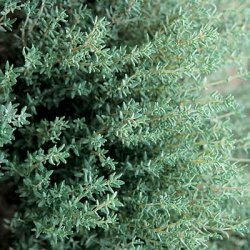 Upright aromatic sub-shrub with ovate foliage. Grows to: 30cm. Medicinal & culinary herb. White to pale purple flower spikes from mid summer. Any fertile, free draining soil in sun. Bee & Butterfly plant. Wildflower.